Your skin tells your life story. Your skin is able to communicate the state of your health, your style of living, and even your level of happiness. The skin can communicate so much in fact, that people are now trying harder than ever before and resorting to options that include aesthetic lasers to improve the look and feel of theirs. 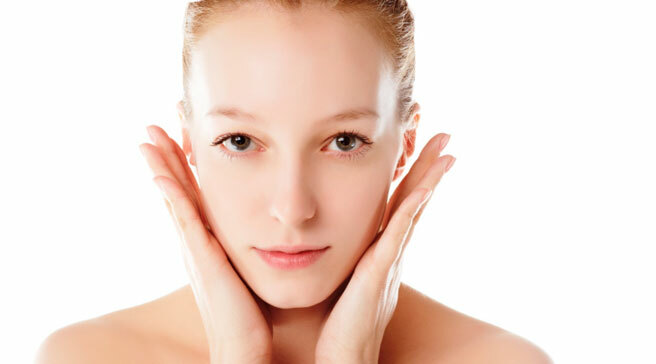 While there are many beauty treatments out there to help rid you of acne, wrinkles and scarring, everybody will agree the best way to ensure you have beautiful-looking skin is to prevent problems occurring. To do that, or to improve your current skin condition, here are 4 simple ways for you to care for your skin. Your skin is the outer display of your inner self. Everything that’s happening inside your body and mind will reflect on your skin. Unhealthy habits can’t be hidden, and will eventually have an effect on your appearance. If you smoke, drink too much alcohol, and burn the candle at both ends, you’ll notice your skin start to suffer because of your lifestyle. Having the sun pulsate down upon you may feel pleasant, but it’s not good for your skin. UV rays age the skin, which is why those living in hotter climates tend to age quicker. As it’s impossible to avoid the sun, and not something you’d want to do anyway, just make sure your skin is protected whenever going outside. Apply a daily moisturizer that contains SPF factor 15 or above, and cover the rest of your body in sunscreen. If the sun is really harsh, try to protect yourself from its glare as much as possible. Hats, umbrellas and sunglasses can go some way to keeping your skin protected. Many skin products and treatments that include medical laser devices come with such elaborate advertising campaigns these days that you feel your skin is doomed to look ugly unless you invest in the product or laser treatment. Furthermore, whether it’s moisturizers, fake tanners, or make-up, you’ll need to cut down on artificial skin care products if you want it to look healthy. These products clog up your pores and make it impossible for your skin to breathe. Because of this it’ll look dull and lifeless and will be prone to breakouts. Stress isn’t good for your skin. It encourages you to scrunch up your face, and makes you spend ages frowning. Stress can negatively affect your skin’s elasticity, and will make you unhealthy in general. The good thing about stress is that it’s possible to lower it. You don’t need to go to any fancy Eastern philosophy class, nor take medication to do so. If you’re looking to banish acne and wrinkles, take some time each day to relax. Write down your worries and talk through them so that they aren’t always on your mind. If your skin isn’t helped by the above advice, you may wish to seek expert help. You can talk to a dermatologist about whatever is troubling you, or you could attempt to improve your skin’s texture by using cosmetic procedures such as chemical pills or aesthetic laser equipment used in laser rejuvenation surgery. Even if you do decide to consult the experts, just remember, once you’ve fixed your problem, beautiful skill will still depend on your ability to live healthily. For a limited time through Gilt City, Darphin is offering a complimentary $25 merchandise credit to use towards a purchase of $100 or more on Darphin.com. This Parisian skincare brand fuses the finest botanical ingredients with innovative technologies, giving you healthy, lustrous-looking skin. There is no fee or commitment to obtain this voucher through Gilt City. This incredible offer is only available for one week and must be redeemed by October 6th, 2014, so stock up on all of the Darphin favorites! Darphin calls the creation of their products “the art of formulation.” Each step involves uncompromised attention to detail, from selecting the finest ingredients to meticulously following tried-and-true formulas. Darphin’s serums – from the Intral Redness Relief Soothing Serum to the ideal Resource Wrinkle Minimizer Perfecting Serum – can balance and detoxify skin, relieve redness, rejuvenate and restore radiance. The 8-Flower Nectar, “a precious youth elixir,” combines the aromatic essences of eight different flowers, along with a host of anti-oxidants, to smooth fine lines and firm the skin. Other Essential Oil Elixirs include the Aromatic Purifying Balm, which can even skin tone for a more balanced complexion. Along with effective skincare, Darphin also offers a variety of bodycare products like Nourishing Satin Oil, Aromatic Seaweed Bath and Shower Gel, and Perfecting Body Scrub. Visit Darphin’s website and chat live with a Darphin Expert, or take a skin consultation quiz to help you select a skincare regimen that complements your particular needs and goals. 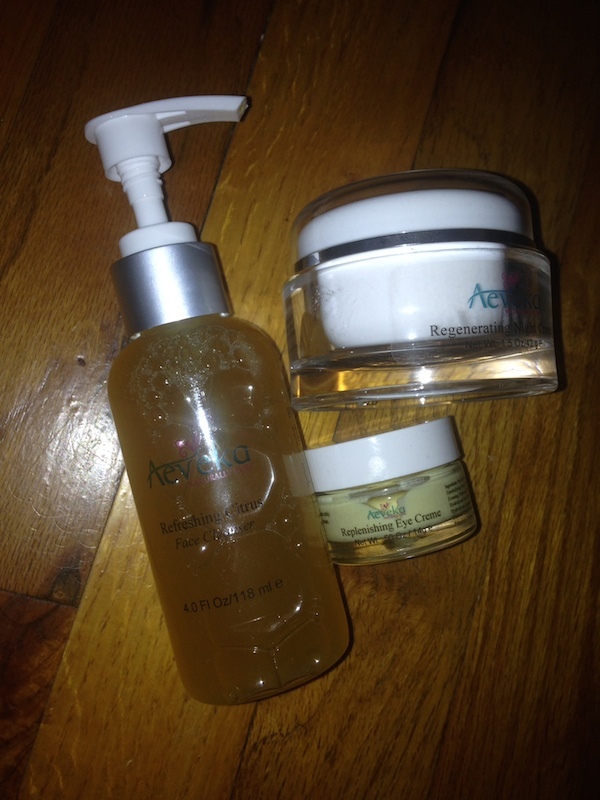 I recently tried several products from the Aeveka Naturally Pure Skincare line including the Refreshing Citrus Cleanser, Regenerating Night Crème and Replenishing Co-Q10 Eye Crème. This is an all natural skin care line which means that it’s made with non-toxic and organic ingredients found in nature. It’s also cruelty free and vegan which is a major plus for me! If you’ve read some of my past posts you already know that I prefer natural beauty products because I believe that they are safer for our health. Our skin absorbs everything that we put on it so it just makes sense to use the healthiest products made with non-toxic ingredients. Makes sense, right?! I’ve been using the Refreshing Citrus Cleanser for over six weeks now and it’s very gentle. It’s made with a fruit base and turbinado sugar as well as organic jojoba oil, which has natural anti-bacterial and anti-inflammatory properties. The cleanser did a great job of gently removing the excess facial oil without leaving my skin dry. After cleansing my face, my skin felt balanced enough to go without a moisturizer -but I would never do that! The Regenerating Night Crème contains Co-Q10 to help reduce the signs of aging along with a superfruit blend and an antioxidant tea blend. 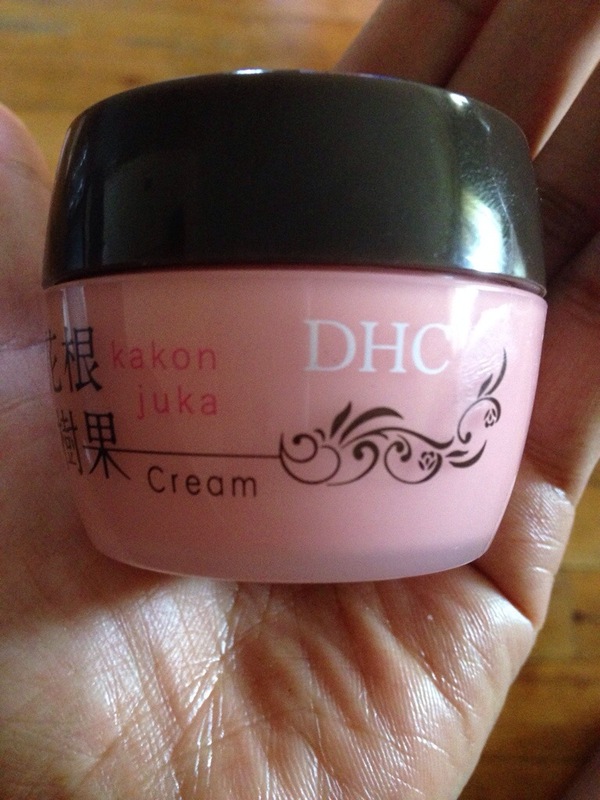 The creme has a lightweight consistency and was more like a lotion. It felt very luxurious on the skin and I used it during the day as well (just sparingly). The night creme should be used sparingly because a little goes a long way. The Replenishing Co-Q10 Eye Crème is quite refreshing. I put my jar in the refrigerator to keep it chilled for a morning pick-me-up and it certainly did the trick. This creme has lots of beneficial ingredients like micro algae which produces oxygen and promotes full skin rejuvenation. The eye creme is great if you have fine lines because after using it they seem to fade away and the skin appears much more plump and fuller. I loved how the creme absorbed so quickly and how it felt great under my eyes. Overall I was impressed with all of the products, they were gentle and felt great on my skin. This brand is a great option if you have sensitive skin because it’s non-irritating. and lightweight. Have you tried any of the products from Aeveka? Kreamie’s Collection: A natural body scrub that’s good enough to eat! I may have mentioned a time or two how I love natural beauty products. I have very sensitive skin that is prone to dryness and natural beauty products work well for me without the irritation that store brands can give me. I recently tried Kreamie’s Collection Brown Sugar Body Scrub($16) made with raw brown sugar (of course), essential oils, vanilla and coconut oil. The scrub is gentle enough to use on your face and has just the right amount of oil to keep you skin moisturized. The key beauty ingredient is brown sugar which is beneficial for the skin. While sugar may not be good for our waistline it has fantastic skin care benefits. Brown sugar is safer than salt scrubs since the larger salt grains can be abrasive and tear the skin. 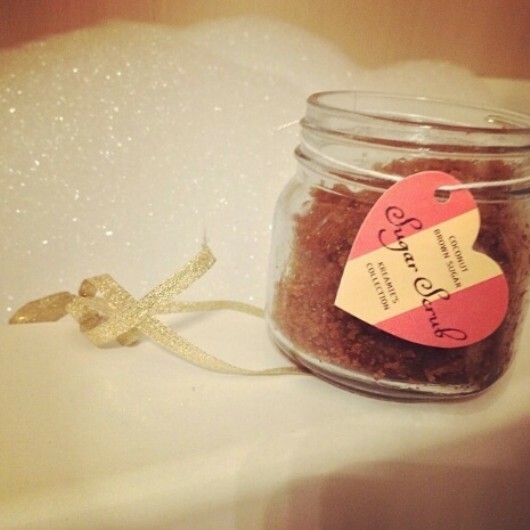 Brown sugar helps to scrub dead skin cells away and leaves the skin with a healthy glow. Brown sugar also contains glycolic acid which fights bacteria. The benefit of glycolic acid is that it is an alpha-hydroxyl acid, which is beneficial in keeping your skin vivacious and healthy – especially sun damaged and mature skin. Aside from the all of the health benefits, Kreamie’s Collection Brown Sugar Body Scrubs smells delicious. The handmade body scrub is available in a variety of delectable scents including Coconut Lime, Passion Fruit with Rose Hip and Peppermint Sugar Scrub. If you’re seeking a natural skin care product that smells good enough to eat, check out Kreamie’s Collection!